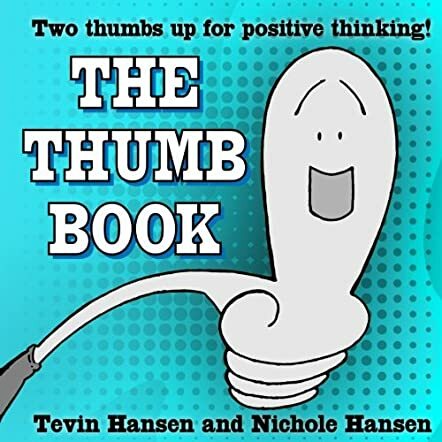 The Thumb Book by Tevin Hansen and Nichole Hansen is an inspiring story that will guide children to look at the things around them in a positive way, and give a positive spin to all the negative things they come across in their lives. The story gives good examples of making the best of things, how negative things can be changed to positive, and choices can be made in a way so that angry faces turn into happy ones. The story is filled with fun and the interactive session at the end is an added bonus that includes craft tips to make your own thumb and dress it up the way you want. Are you ready to make your own thumb and dress it up with your favorite costume? This book is charming and adorable, and I love the way the authors convey a beautiful and relevant message to children in a fun way, making it easy for them to comprehend, apply, and practice. The illustrations are fun and humorous, just like the book. It is a perfect book for parents and educators to help children understand the importance of being positive and guide them on how to look at everything in a positive way. The thumb making session and dressing it up can be used during arts and crafts activities to encourage children to become imaginative and creative. If you want children to choose to say something nice when people are mean to them, and stay happy and positive, and always have fun, then this book will definitely help in guiding them in the right direction.